Traditional timekeeping at its best, this JSDUN 8813 Automatic Watch embodies smart sophistication. 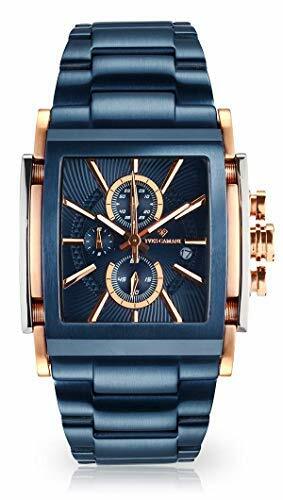 Rich in color and character, this watch features with a round tungsten steel case and luxurious dial with Roman numeral and simulation diamond markers. The bezel boasts a cool configuration with a textured edge. A diamond shape link bracelet of this timepiece brings you fine wearing experience to get you through the day. 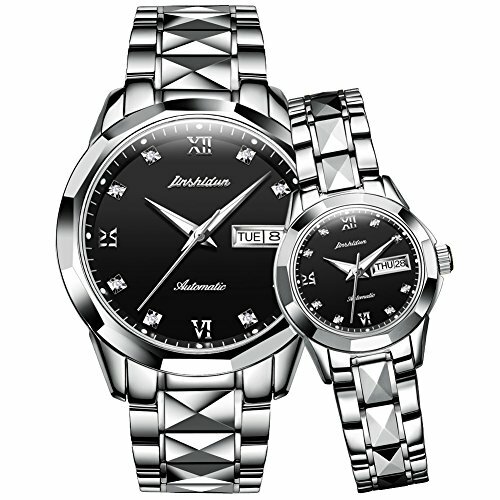 The JSDUN 8813 watch makes a fine gift, either for yourself or partner or for your significant one. 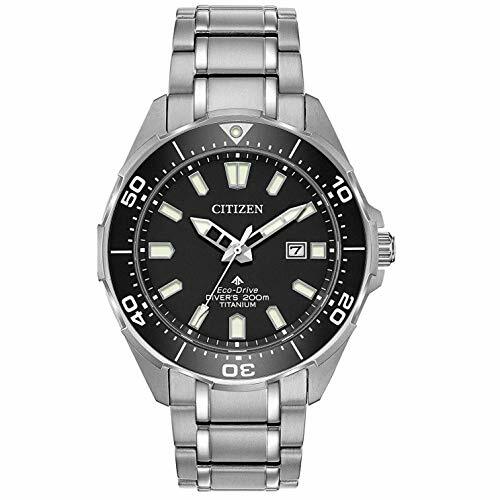 Fun and functional, you can take this Promaster Diver by Citizen timepiece from the beach to the office. Featuring a 44mm super titanium case with a aluminum one-way rotating elapsed-time bezel, take this watch on your next adventure. The black dial is completed with luminous hands and markers. Completing this look is a super titanium bracelet with a safety fold over clasp with a push button. 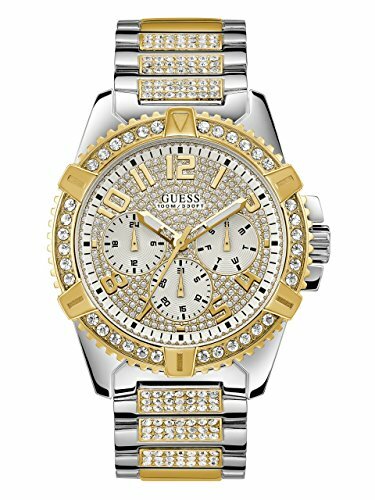 Define Your Time with this Bold Stainless Steel Two-Tone Multi-Function Watch with Day, Date, 24 Houor Int’l Time & Crystal Accents, Perfect for Women too!Multifunction timepiece gets a sparkling update with rhinestones all over the two-tone design with day, date and 24-hour functions. Free Gift Box Ready as Gifts: FM202 is an automatic watch with automatic self-wind movement. When using for the first time, please manually wind up the watch to keep it working well. We strongly recommend it for adolescent, young Adult or men. Comes in an elegant gift box. Perfect gift for Father’s Day, Anniversary Day, Valentines Day and Birthday to your boyfriend, husband and dad. 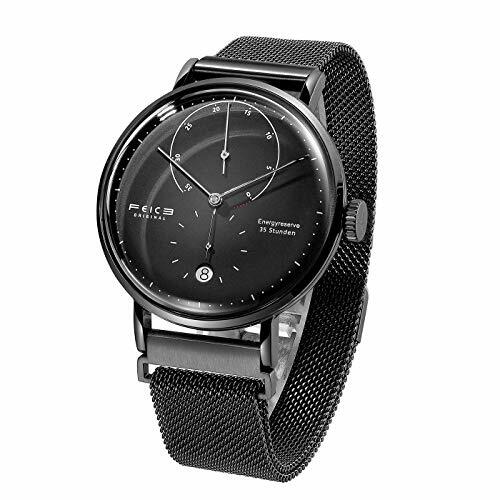 ⌚ Bauhaus Style: Minimalist men’s automatic mechanical watch, follows classic Bauhaus style. Unique and simple big face dial design, focus on the functions of the watch, not the form. Transparent back design, you can see the watch’s movement completely. ⌚ 35 Hours Energy Storage: Big energy dial display, let you always know the running energy of your watch. When using for the first time, please manually wind up the watch to get enough energy to keep working well, energy dial shouldn’t exceed 35. The under sub-dial is second hand with hacking, date window at 6 o’clock. ⌚ 2.5D Arc Hyperbolic Mirror: Unique mineral 2.5D domed mirror, the light transmittance is 99.6%, scratch-resistant and wear-resistant. 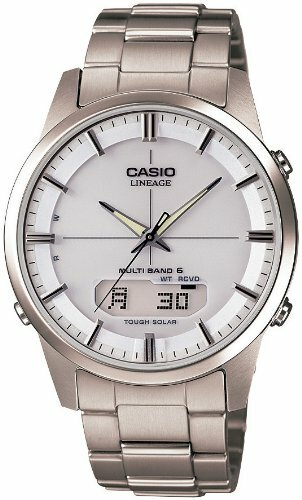 Decorated on 316L stainless steel case, makes the watch more durable and prolongs its service life. ⌚ Movement: Automatic self-wind movement, over 110 individual intricately moving parts and 28 jeweled movements provide energy for the watch. As an automatic watch， it’s powered by wrist shaking, full energy can power up to 30 hours. You can also manually wind up the crown to keep it working well. If the watch doesn’t get enough energy, it will work slowly or cause a large deviation. 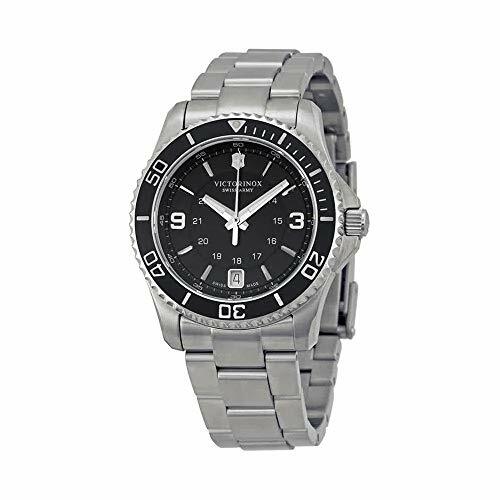 ⌚ Waterproof&Warranty: Water resistant to 30 meters in general, withstands rain and splashes of water, but not suitable for bathing, swimming or diving. 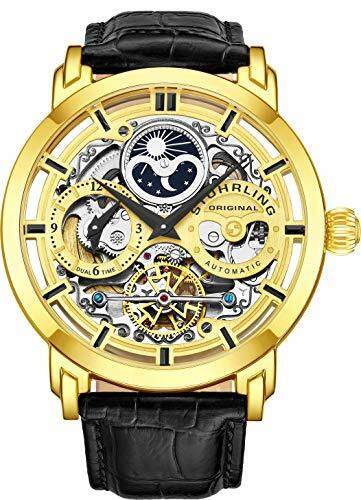 All the watches in our store will enjoy 2 years warranty. Enjoy 100% money back guarantee within 30 days. For any questions, please feel free to contact us. Chronographs are masculine watches normally used for athletic purposes. This is not the case when the exceptional Escaut men’s watch is concerned. Elegant and luxurious, it is part multi-functional precision timepiece, part aesthetic statement. The precision Miyota movement is housed in an elegant rectangular stainless steel casing. The dial displays the date and a separate seconds indicator. And of course, as its a chronograph, the Escaut comes with a stopwatch. The luxurious look of this exceptional watch is rounded off by its elegant band. Want a High-Standard Swiss Made Wristwatch with Looks to Match its Performance? 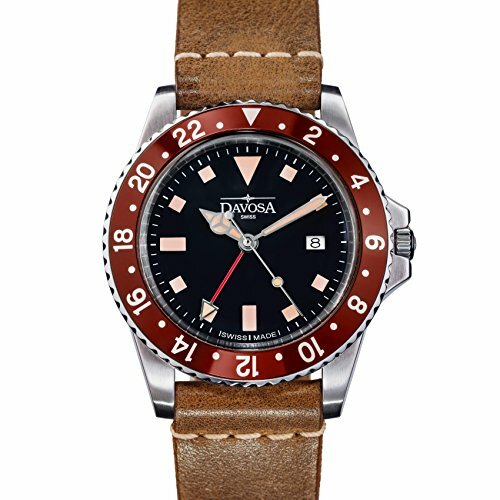 Featuring Reliable Top-Quality Components, Clever Technology, and Elegant Heritage-Inspired Looks, this Stylish Watch can be Worn for Swimming, Snorkeling, Sports, Everyday, or as a Fashionable Dress Watch. The 39mm Diameter is Perfect for Every Wrist, While the Genuine Vintage Leather Strap Makes a Truly Eye-Catching Retro Style Statement! Need a Timepiece that can Handle the Demands of Your Active Lifestyle? Looking for a Luxury Gift Your Man Will Love? Original Design Combines with an Accurate, Hard-Working Quartz Mechanism for a Watch that will be Cherished for Years! Your Father, Dad, Son, Brother, or Friend will Appreciate the Retro Style, Luxury Details, and High-Performance Capabilities of this Fashionable Piece.